Since we found out we were pregnant (maybe even before), we knew we wanted to build our baby’s crib. Of course we I had my doubts. Would it be safe enough? What would we finish it with that would be safe for baby? Would it even look good? Psh… c’mon – I knew the answer to that last one. 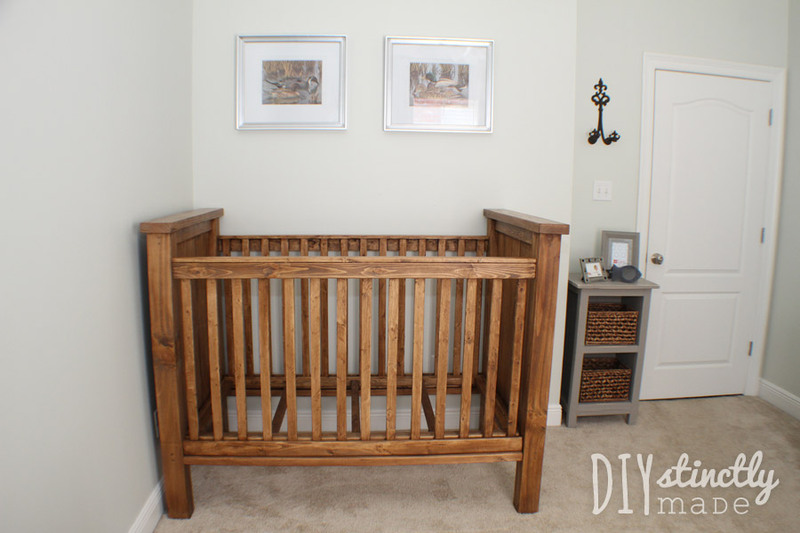 I started by searching different styles of cribs on Pinterest and even DIY cribs to see if I could get any tips from other DIYers. I came across Back to Domestic’s DIY Cribs and loved the style. 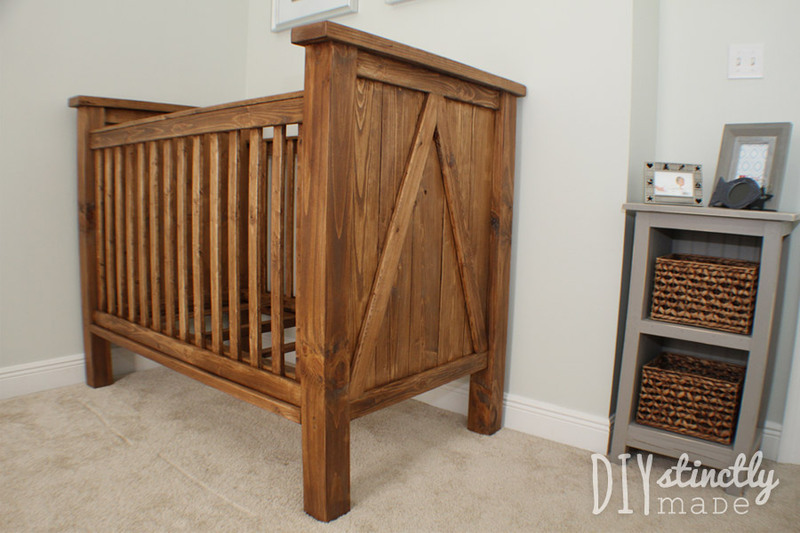 This style of crib looked like it could be built using the same general technique we used for our DIY Pottery Barn Farmhouse Bed, which gave me the confidence I needed to move forward. I showed Kurt the crib style and he began building the crib using Google Sketchup so we could view it 3 dimensionally to scale before we dove in (Thank you LSU Robert Reich School of Landscape Architecture for the handy skills!) Here’s what it looked like once he had it drawn up to scale. I did some further research on crib safety standards to be sure what we built would be safe enough for our little Baby Boehr (pronounced “bear”). BabyCenter.com lays out the crib safety standards (as of 2011) pretty well – you can view those standards here. We decided to buy our baby mattress before starting to be sure our measurements for the crib would work. 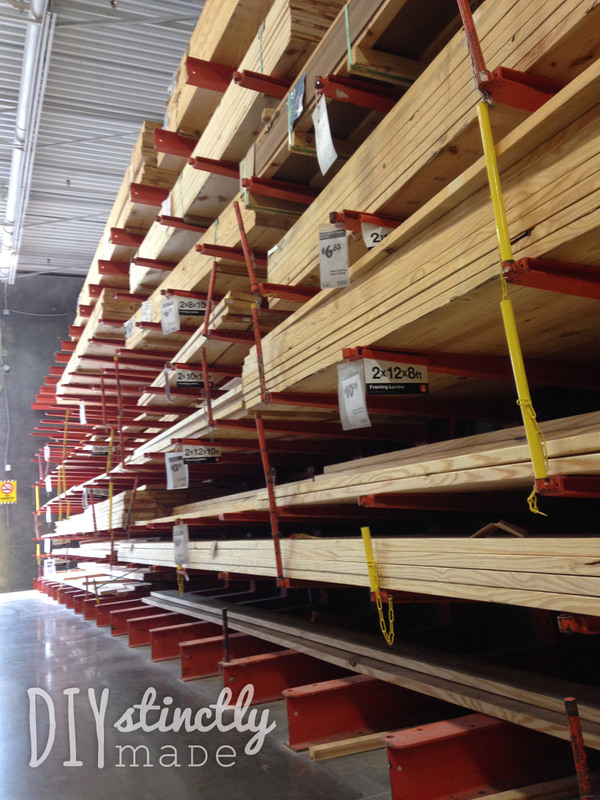 After getting our mattress, we headed to the hardware store for wood and supplies. This project took a couple of months with our frequent trips to Baton Rouge on the weekend during football season; therefore, I don’t have as many pictures of the process as I would like. First, we tackled the sides of the crib. We laid out five 1″ x 6″ boards (cut to 36 ½” in length) side by side and attached two 1″ x 3″ boards (26 3/4″ in length) across the top and the bottom using wood glue, finish nails, and clamps (NOTE: the two outer 1″ x 6″ board’s width will need to be ripped in order to get the desired 26 3/4″ total width for the side). Next we flipped it over and attached two more 1″ x 3″ boards (26 3/4″ in length) across the top and the bottom using wood glue, 1 ½” screws, and clamps. We screwed the interior after nailing the exterior boards on so that the screws would help pull the wood together. We used a spade drill bit to create holes for the screws to sit beneath the surface of the wood. The decorative pieces were then attached to the outside using wood glue and finish nails. Next, we assembled the sides of the crib with vertical slats because we didn’t yet have 4×4 posts for our sides that were completed. We marked where each slat would go on two 1″ x 3″ boards (cut to 53″ in length), making sure that they were all 2 3/8″ apart (based on crib standard requirements, slats should be no more than 2 3/8 inches apart). 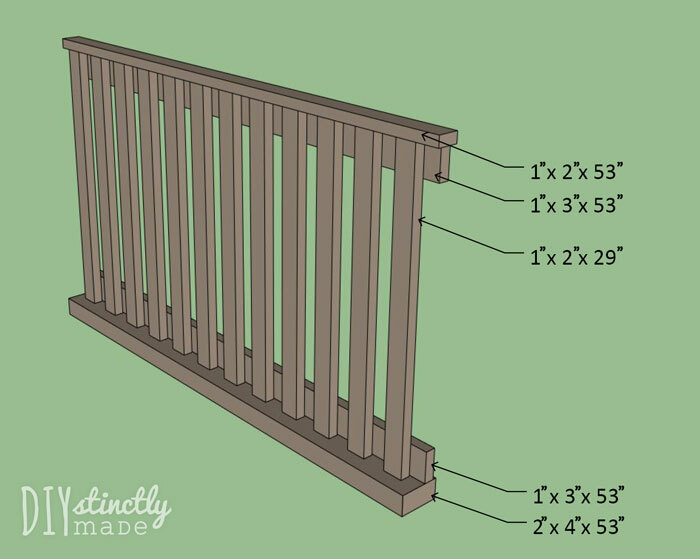 The gaps between the two outer slats and the crib sides will be less than 2 3/8.” After we attached the slats to the 1″ x 3″ boards using 1 ½” screws and wood glue, I was a little bothered by the fact that the outer slat gaps would be smaller than the rest, but honestly now that its built. it looks great and I don’t even notice it. Next, we attached the bottom 2″ x 4″ boards (cut to 53″ in length) using wood glue, 3″ screws (drilled from the bottom), and our handy dandy clamps. At first we only screwed into the 1″ x 3″ that we previously attached, but after noticing that the 2″ x 4″ need to be more stable we screwed into a few slats as well. 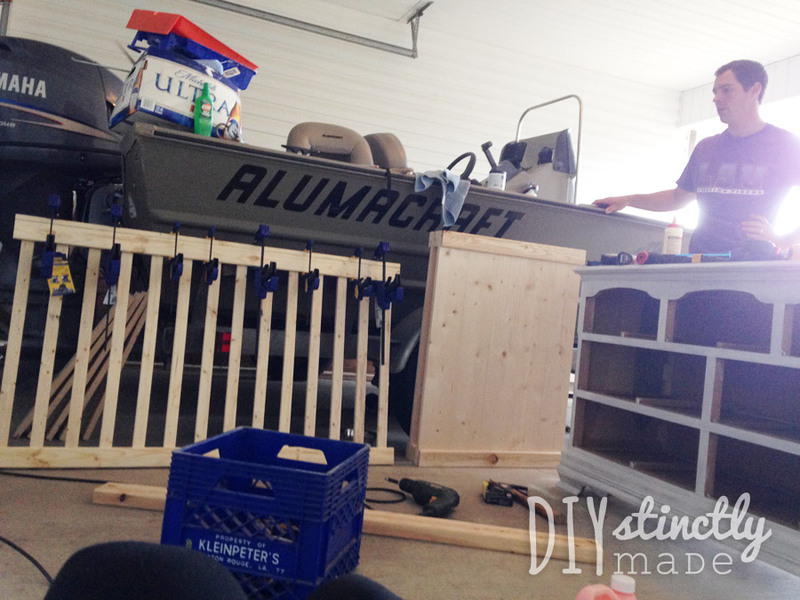 After the bottom was secure, we attached the top 1″ x 2″ runner (cut to 53″ in length) using wood glue and finish nails. Because we couldn’t find non-pressure treated 4x4s ANYWHERE, we were stuck at this point for some time. Luckily, my dad was able to find some non-pressure treated 4x6s in North Georgia. We picked them up when we went home for Thanksgiving. A couple of passes through my Dad’s beast of a table saw and we had ourselves non-pressure treated 4x4s! Once we got back home, Kurt couldn’t wait to finished the sides. 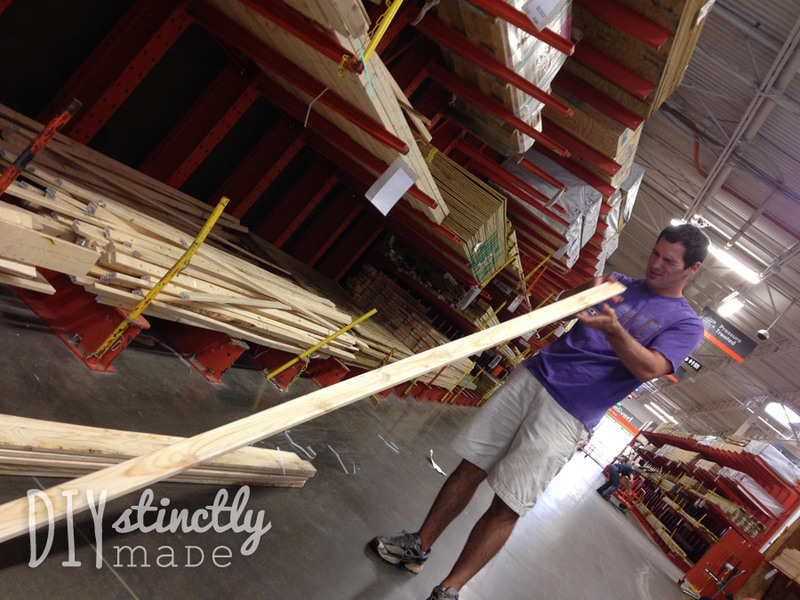 He cut our new 4″ x 4″ posts to be 43″ in length and attached them to the sides using 3 ½” screws and wood glue. 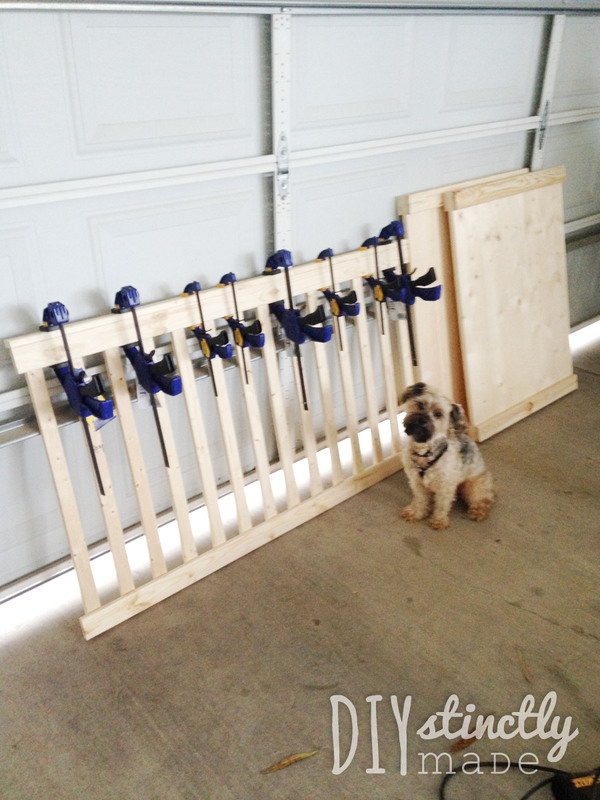 He used a spade drill bit before hand to make holes to ensure the 3 ½” screws would reach the sides. If we had longer screws at the time, he would have used those instead… but ain’t nobody got time to run back to the store – so we made do. After the posts were on, He attached the 2″ x 4″ cap (cut to 37 3/4″ in length) using 3″ screws and wood glue. 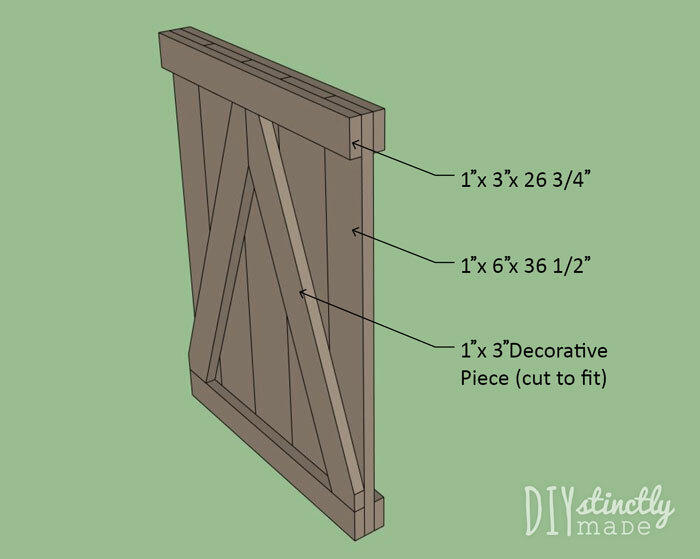 We used this same technique when attaching the posts and caps to our DIY Pottery Barn Farmhouse Bed. Finally, we built the mattress support according to the dimensions below using wood glue and screws to make it as sturdy as possible. This support is what can be used to adjust the height of the mattress within the crib. Simply screw the support into the posts from below at the desired height. When the crib mattress needs to be “dropped,” it sits at the base of the crib with no screws necessary (shown in pictures). Once all 4 sides and the mattress support were done we did a makeshift assembly to see how she looked – AMAZING! 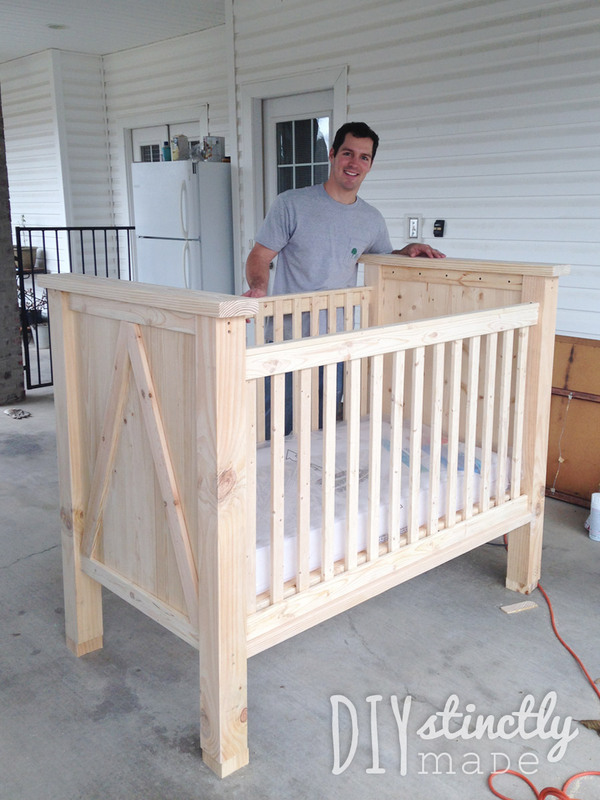 Unfortunately, the crib wouldn’t fit into the nursery, so we had to disassemble it before reassembling once complete. We filled all holes and wood cracks with sandable/stainable wood filler. After the wood filler dried, we sanded all pieces using 220 grit sand paper which made the wood as smooth as a baby’s bottom. Before we finished the crib, we found out we are having a little boy. We chose an outdoors theme for his room since daddy is an avid fisherman and hunter. To go with the theme, we wanted to stain the wood instead of paint it. I did some more research trying to find an all-natural solution that wouldn’t harm the baby if he gnawed on the crib. I purchased Dark Raw Tung Oil from the Real Milk Paint Company… BUT, once I tested it on a piece of scrap wood I realized I didn’t like the color AND it would take for-ev-ver to apply. So, I did some more research and found out that commercial finishes are okay to use if they have been properly cured (typically 30 days). 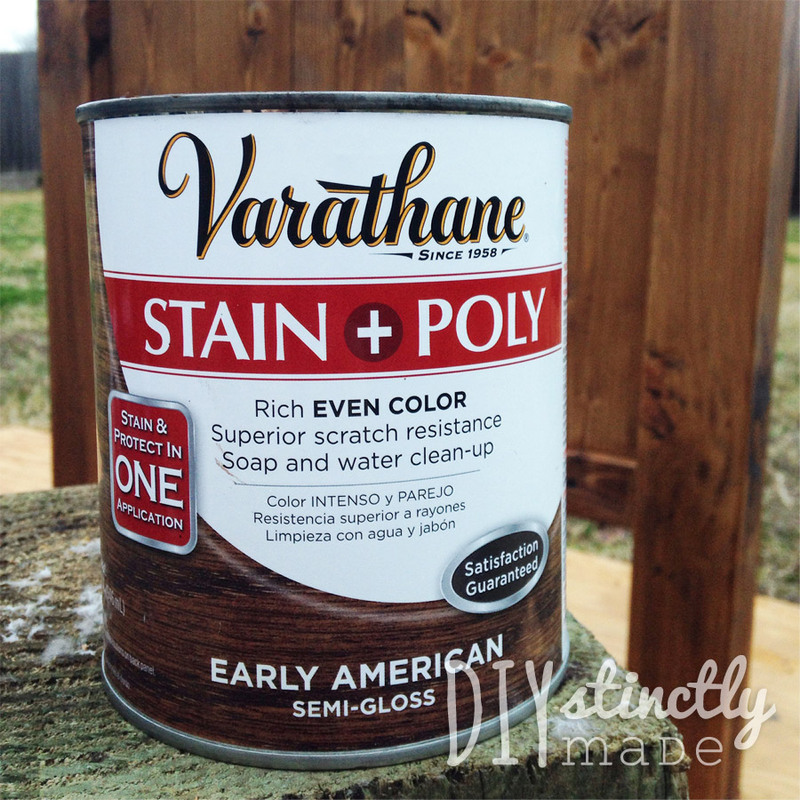 We decided to go with Rustoleum’s Varathane Stain + Poly in Early American to cut back on steps – I am SO glad we went with this product. It was easy to apply, dried quickly, and because it is water based it was very easy to clean up (no harsh chemicals needed!) This product is a one-coat wonder! We applied on the thicker side, rather than doing multiple thin coats, so two coats were not needed. After we had everything stained/varathaned, we lightly rubbed with steel wool to make everything as smooth as possible. Once perfectly smooth, we applied paste wax and buffed. Once settled for a few days, we brought the pieces into the nursery and assembled. Kurt used his spade drill bit again to drill pocket holes on the bottom of both sides of each side (with slats) so they could be screwed to the posts using 3 1/2″ screws. On a side note: a Kreg Jig would have come in reaaaal handy to make the pockets holes (this tool has since been added to my wishlist). Once the bottoms were attached, we used a small “L” metal bracket to screw the underside of top of the sides with slats to the insides of the posts (See the pic below – side with slats on the left, post on the right). 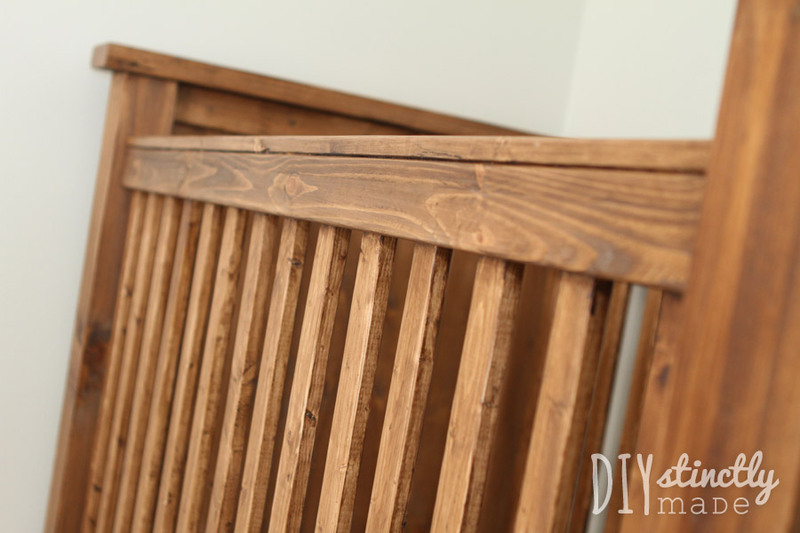 We had a hard time at first trying to figure out the best way to attach the top of the sides with slats to the posts because we knew this crib would have to be disassembled and reassembled in the future as we have more babies. Ultimately, we decided on the brackets. 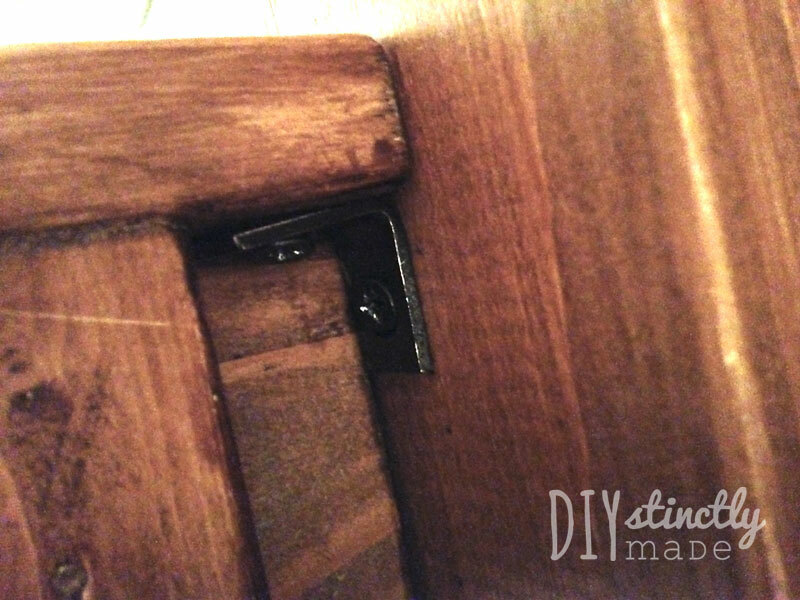 They are very sturdy and and tuck nicely under the rail – we spray painted them black to make them less noticeable. Here are some photos of the finished crib in the nursery. 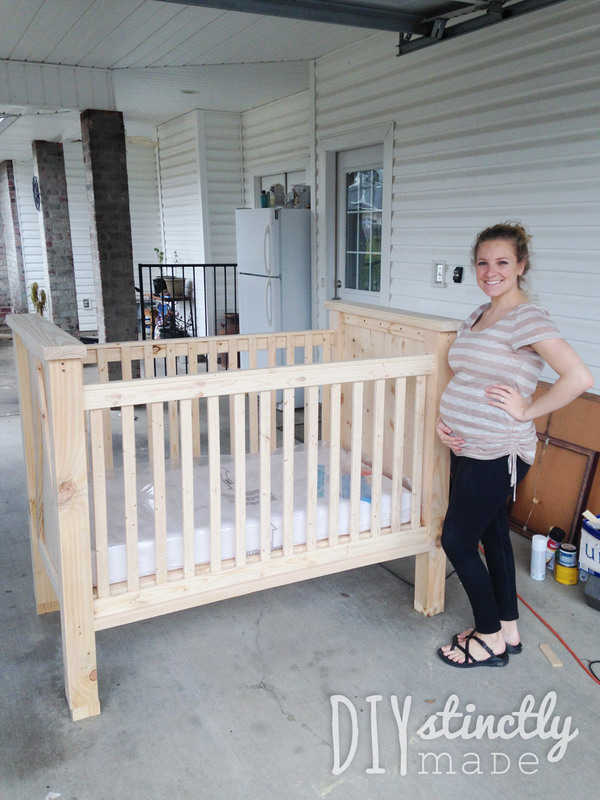 UPDATE: We are thrilled SO many people have read and used our post and crib plans to build their very own crib! Our crib is still in use an I have to say the kid LOVES it. And we love that he can’t climb out… yet… BEFORE BUILDING, please review all questions and answers in the comments. We have received several repeat questions that have already been answered. Our crib DOES have gaps between the mattress and the sides however we use a crib bumper which covers the gaps so they have not been an issue. 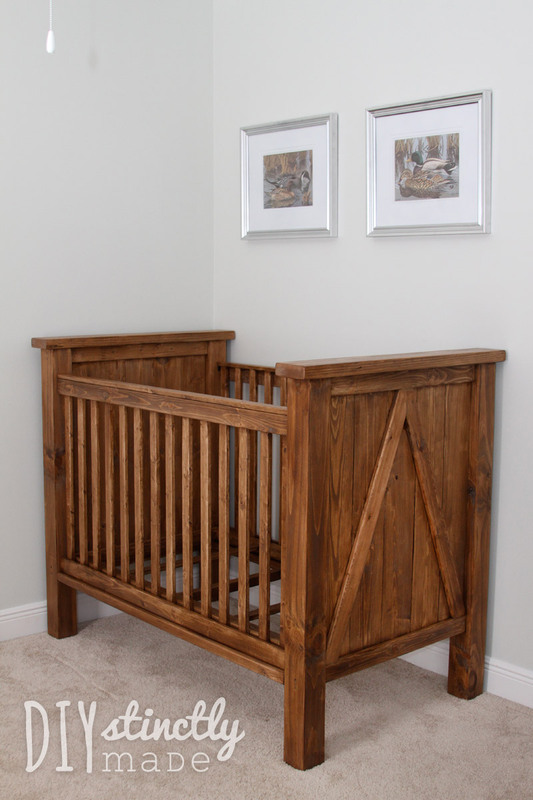 If you would like to build this crib to be used without bumpers, we suggest purchasing your mattress beforehand and making the necessary adjustments for a snug fit. 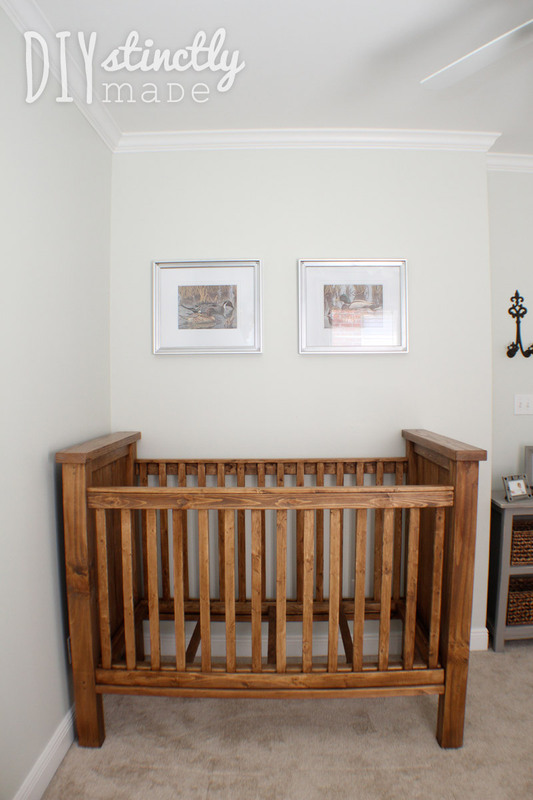 Check out the completed nursery in our Nursery Reveal post! Gosh if I were to pay you could hoh just build me one?! 2×6 is actually 1.5×5.5” true. And a 4×6 is actually 3.5×5.5” true so you sir are incorrect. You’ll end up being a half inch shy. Love the crib. One question? Does this meet all the government regulations for cribs? I did my own research and followed what guidelines I could find at the time (referenced in post). If you plan on building this crib and you are concerned, we recommend doing your own research to be sure the guidelines are still the same. Good luck! At the time it was built I followed the guidelines referenced in the post though changes may have been made in the past 3 years. Has anybody had any issue with the wood splintering? I am planning to build this and it was brought to my attention pine, being soft, may run the risk of splintering when baby decides to gnaw on it. Being my first child coming I have no idea what to expect with him. Our 2 1/2 year old is still in this crib and we haven’t experienced any issues with splintering. Hi, thanks for the plans! I’ll be doing my wood shopping tomorrow to begin this build. Do you use any type of pads on the bottoms of your projects? I built a farmhouse table and bench using 4x4s and after building but before staining, I needed to let it sit and dry a few days because it was wet. to this day, I still kind of wonder if I should find some felt pads for the bottoms. Did you happen to do this for the crib? We do have furniture pads on the bottoms of the legs now that our house has wood floors… it makes it much easier to maneauver when changing the bedding. 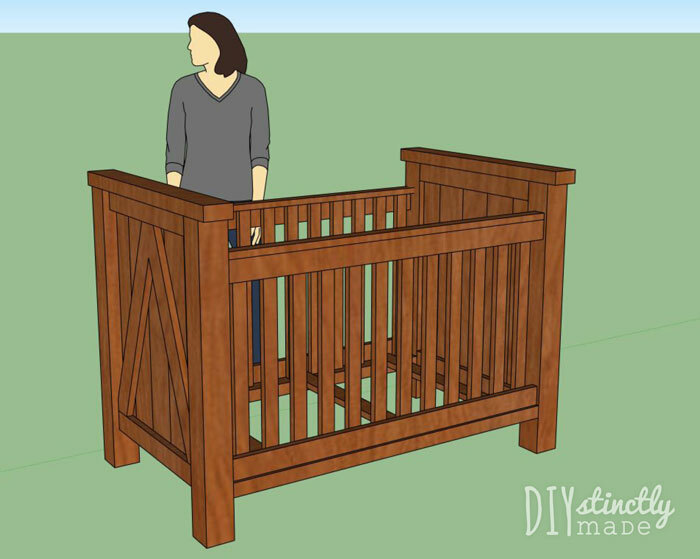 Planning on building this as a gift for an expecting loved one but I’d like to make the side drop down for easy access to the baby. Did you do this? Or do you have any idea on how I can do this without searching for crazy hardware? We did not include a drop down sides since the guidelines we followed (for crib standards) specifically said not to do them. What are the dimensions of your mattress please? Can you double check this? If this is correct, your mattress would be almost completely square?? 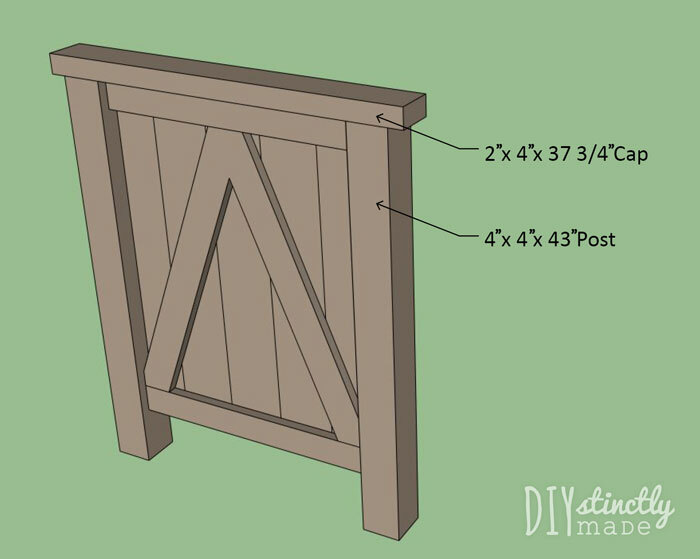 Any reason you used 1X6 boards to make the head and foot panels instead of using plywood? 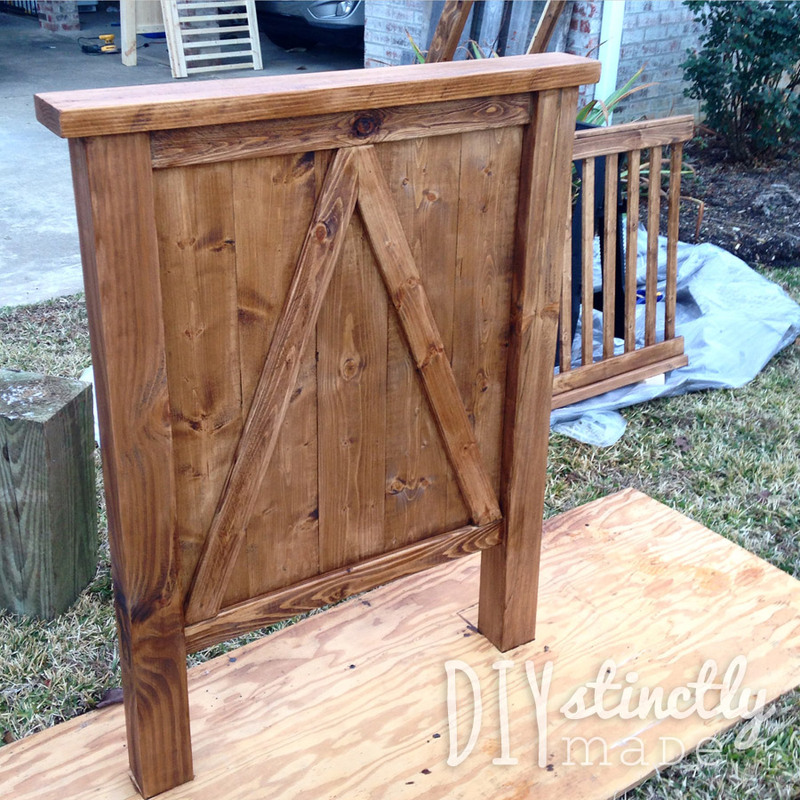 I’m planning to make this and paint it white instead of staining it and just wondered. It seems like it would result in the same look and save time. Honestly, we just went with what was proposed in the original plans… but if we were to do this bed again, we would probably use tongue and groove to get the same paneled look without the gaps that come with the shrinking of the wood. Plywood may work, too – My main concern with that would be warping. Nicely done but i think these dimensions violate the safety standard of 26″ from the top of a 6″ mattress. These plans were done over 3 years ago so I do not doubt that regulations have changed in that time. We recommend for those who are planning to build this crib, to first research current regulations on their own so the proper modifications can be made. My son and I just made this crib out of solid Walnut ! It was a surprise for his wife, the “to be” mother at her baby shower. We made it all out of rough sawn lumber from a Walnut tree on her families farm, so it will truly be an heirloom. We did lots of planing, cutting, and sanding. It is finished in Danish Oil. It turned out beautiful! I love to send a picture of it to you. Please do! If your on Facebook, send us a message or post on our page! My mattress measure 52×29. After assembling everything, I discovered that the inside dirmensions of the crib were too big. If your mattress is the same as mine, I would suggest trimming the rails down to from 53” to 49.5” and the ends from 26.75 to 26. Also, before securing the rails to the ends, do a mock set up first. Place the mattress on the floor, push the rails up against the mattress, and line up with ends to see where they need to go. Hello! This is soooo beautiful. Great work and such a precious family heirloom now. 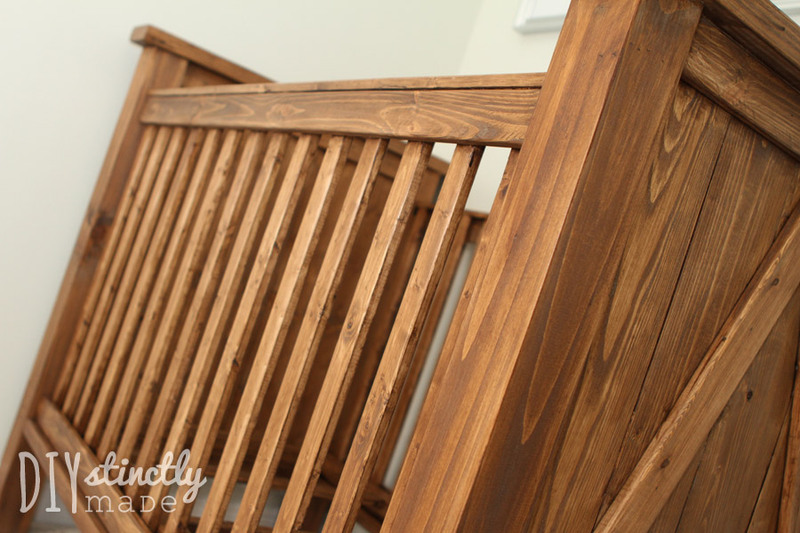 Question about the mattress base… Did you have any issues lowering baby into the crib? How does the mattress get adjusted? I can’t picture it in the description you provided. I am about 5’5 so feel like I would need a stool to lower baby into the crib as there’s no way my arms would reach! Hey Lucy, I am 5’4” and do have some trouble lowering my son allll the way down into the crib when it is at its lowest level. However, what’s great about this crib being so deep is he’s 3 and still sleeping in it (hasn’t climbed out yet!) We adjusted the mattress base to a middle level once he was able to sit up – we did this by screwing the support into each post. Hi, How much might be the total cost for this project? Thank you. I am not a very handy person. So my naive question would be: What tools are required? I have some computer-related tools, tools for my car and that’s it. I just finished building your crib, completion date: 6/9/2018. I built it out of cherry and it was my first furniture build, before this I only did craft projects like clocks and scrollsaw fretwork. I built it with rough cut lumber from Groff and Groff lumber in Pa, jointd, surface planed, shaped on my router table and finished with walnut oil. I’ve received so any compliments and the baby loves it, thanks so much for sharing. Anything you’d like to say or know about the build feel free to email me. Thanks again, you guys are awesome for sharing this! Hello, was wondering how much did this cost you? It was very long ago but definitely under $200. We already had all of the power tools. I’m not sure if I missed it in the plans. 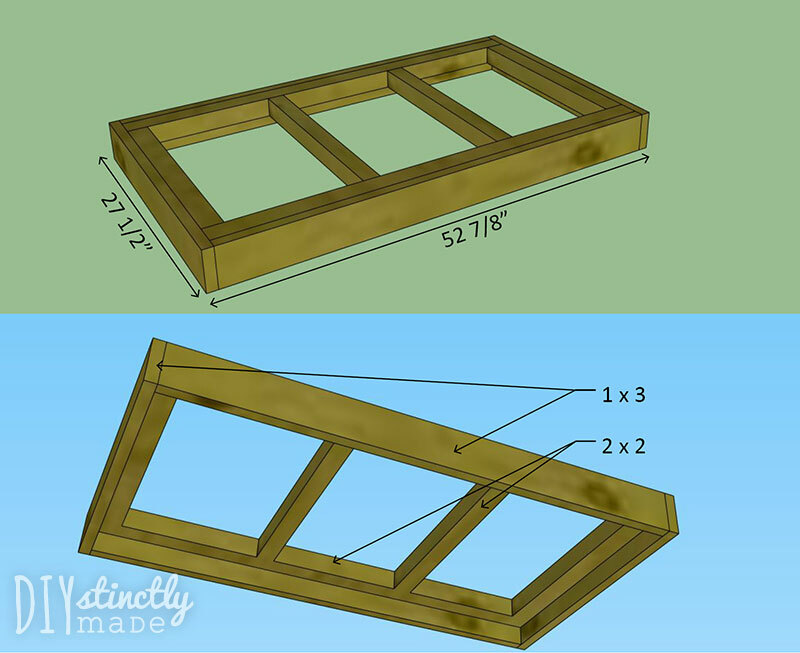 What is the length of the 1 x 2 top to bottom of the individual rails for the sides. Again I apologize if I missed it. Hi David, it is really exciting that your crib is finished. How much did it cost? How long did it take you? I have a crib-building project of my own using the plans on this wonderful website. The background idea is this: My friend’s wife is expecting in 80 days. Pregnant with twins, a boy and a girl. I want to surprise them with a crib that I built from scratch. What are the dimensions of your mattress.? I saw where you said it was 76″ W x 79.5″ L but that does not sound right. It would be almost square. Thanks for the great design.